Slowly but surely, I’m taking an interest in natural face creams. But they have to have that je ne sais quoi, which for me is some sort of creamy, oily, balmy texture with a comforting scent that makes me just have to use it. 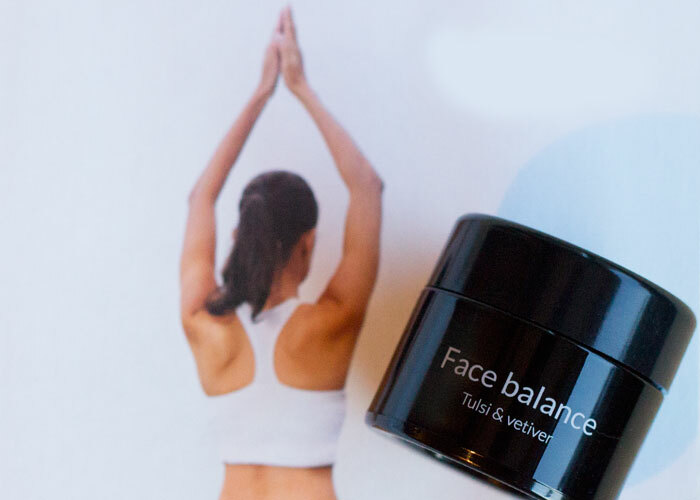 Bottega Organica’s Face Balance Cream in Tulsi & Vetiver meets those requirements. Holy basil, water, olive oil, beeswax, glycerin and sage form the base of Bottega Organica’s Face Balance Cream, resulting in an amazingly grounding scent that’s refreshing and never overpowering. The amount of natural slip this face cream has, thanks to a generous amount of olive oil, is perfect for facial oil lovers like me who crave that familiar texture but love a good cream or balm during transition weather or to address particularly dry, fussy skin. Unlike many face creams I’ve tried, which tend to be very dense, not moisturizing enough or too overly rich, Bottega Organica’s Face Balance Cream nails the “balance” part of its name by providing just the right amount of creaminess and light oil to relieve the skin of dryness and irritation without overly drenching it in moisture. I enjoy using Bottega Organica’s Face Balance Cream at night, especially during strange weather patterns when it goes from being extremely warm to unseasonably cool (it was in the 50s the other night?!). Layered onto my skin after a deep cleansing and toning, Bottega Organica’s Face Balance Cream gives me just want to I need to feel like my skin is shielded from constantly changing air temperature and humidity. If I feel like I really need it, I’ll add a layer of a single carrier oil (olive oil would go well, right?) to really seal in all the moisture. But I find I don’t always need that during this time of year. For winter, it might be the perfect solution for chapping and dry spots — a water-based cream with just enough olive oil and a light layer atop. Diving into the ingredients a little more, I’m excited to see a few that aren’t as popular in many green beauty lines. Think holy basil (which I love as a tea! ), French lilac, wild carrots and vetiver. Holy basil helps regulate oil production without clogging pores. This is another part of the “balance” part of this cream’s namesake. It’s also famous for its antibacterial and soothing properties, making it a perfect ingredient for acne-prone skin. Its camphorous scent provides a cooling sensation to especially irritated skin. 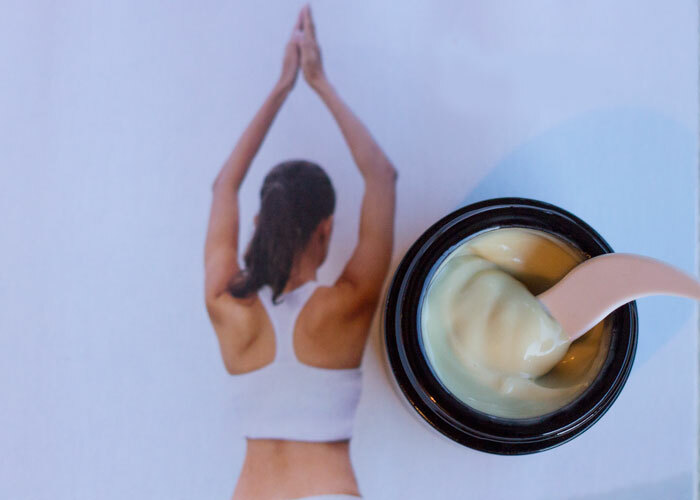 This pairs well with French lilac and vetiver, which have a sort of under-the-radar sexiness about them that makes the aromatherapeutic benefits of this face cream second to none. The base of holy basil is lightened with French lilac, which helps brighten the skin, and vetiver, another moody scent and ingredient that stimulates skin renewal and calming of the mind. One of my favorite ingredients, wild carrots provide a boost in antioxidants and vitamins essential for skin repair. Anytime I’ve ever used something with wild carrot seed oil in it, my skin has always seemed to look and feel brighter and more radiant — the “glow” we are all after. Thanks, carrots. While this is all great, the elephant in the room here is the shockingly high price of this face cream — $140 for 1 ounce. You’re paying for expensive Miron glass packaging, yes, but also for freshly crafted formulas that are made-to-order and designed to be used within two months of opening. That means that Bottega Organica products aren’t really something to take lightly — that’s a lot of money and not a lot of time, though enough time to know if it’s a repurchase. The founders don’t seem to take skincare very lightly, either — Bottega Organic is made by a team of doctors (notably, a geneticist, neurologist, cardiologist and opthalmologist) committed to uncovering the power of plants using legit science to deliver the best skincare possible to you. I’m going to continue to keep my eye on this brand, and as my feelings for face creams get deeper, Bottega Organica’s Face Balance Cream is one I will keep at the top of my list. Do you use face creams? What is the most you would spend for a single skincare item? Have you tried anything from Bottega Organica? Tell me in the comments section!